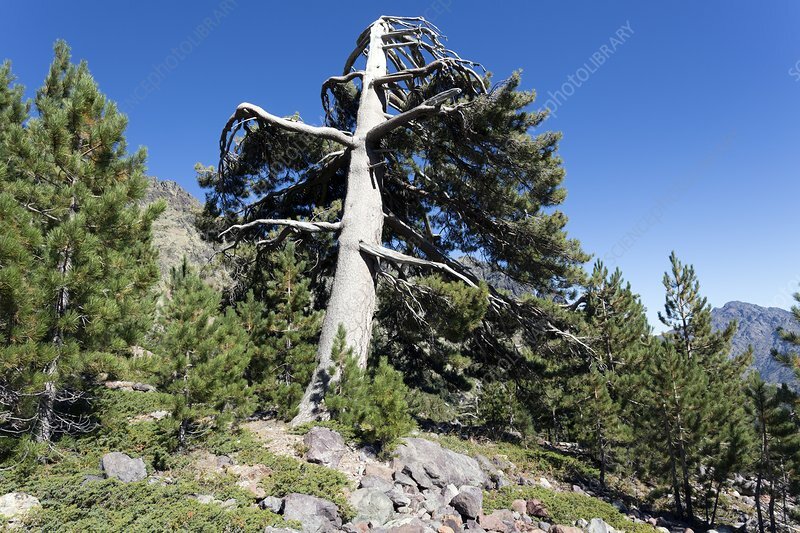 Corsican pine (Pinus nigra var. Corsicana), in the central highlands of Corsica, near Asco. This weather-beaten, very old pine grows on a Pleistocene terminal moraine of a glacier.